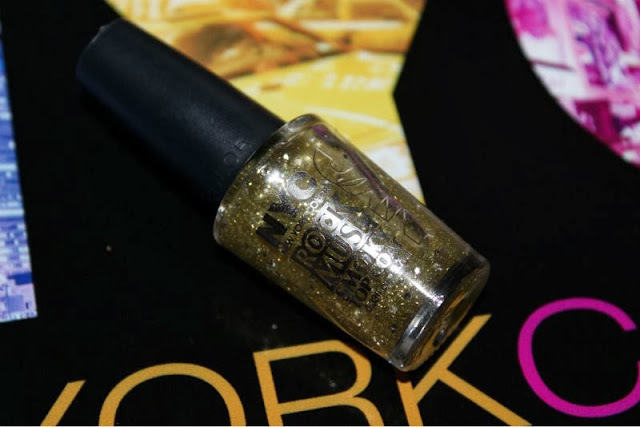 Fans of glitter nail polishes get your note pads at the ready as I have a trio of shades that you simply must pick up and with a £1.99 price tag you can purchase all three (NYC often run 3 for £5 deals etc) without denting your bank balance too severely. 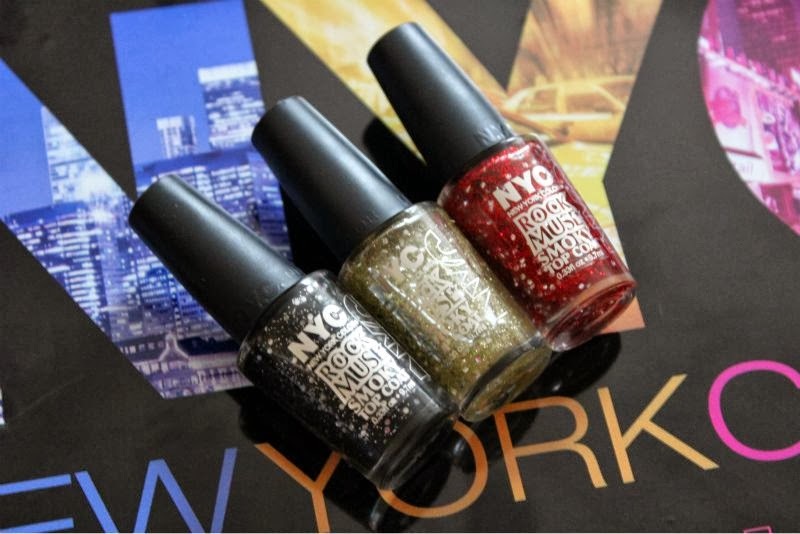 The polishes I am talking about are of course the NYC Rock Muse Smoky Top Coats. NYC Rock Muse is not at all a new shade in fact I reviewed in back in November last year - review link but there is two new shades to collect. 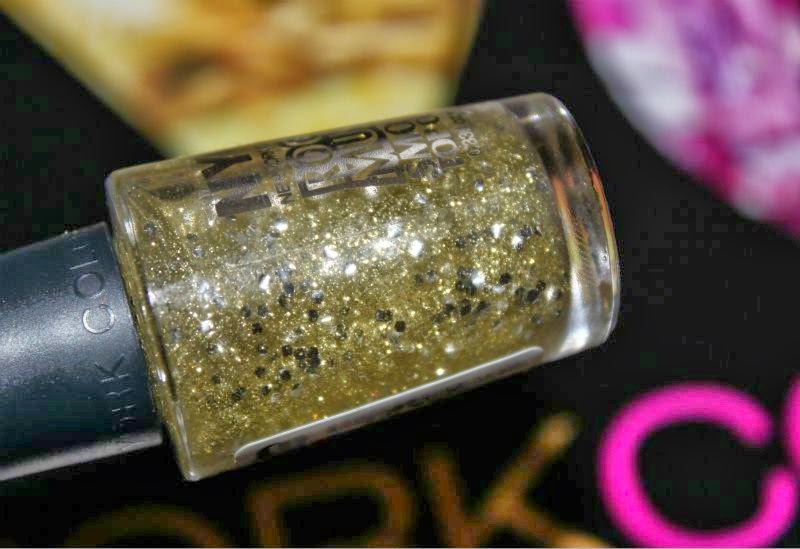 The NYC Rock Muse Smoky Top Coats are clear top coats which can be worn on their own for a wash of glitter on the nails coupled with a slight tint but the purpose of these polishes are intended to be worn over other nail shades. 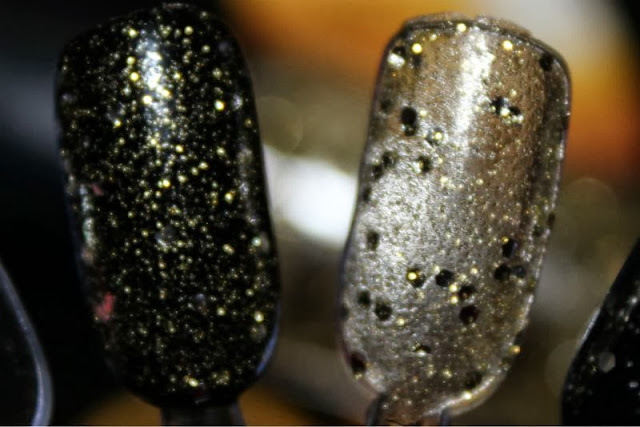 In my opinion they really come alive when layered over a black polish to really allow the glitter to dance in the light. 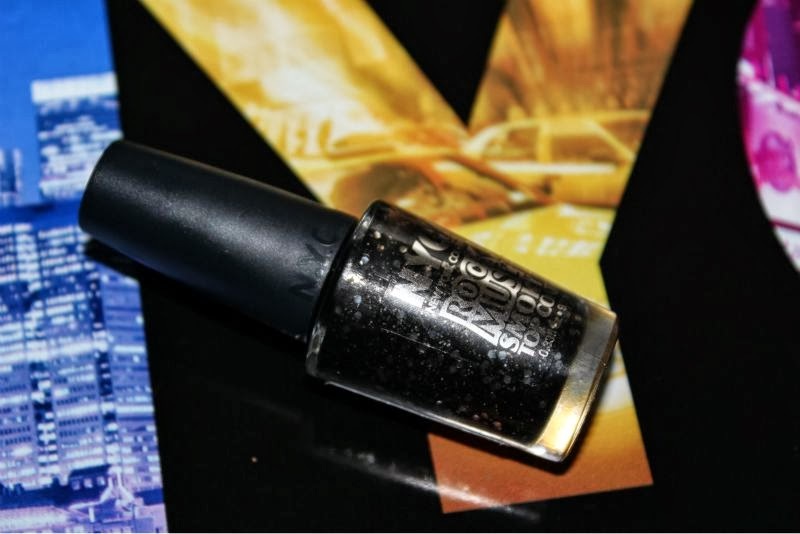 My personal favourite is still 001 Rock Muse a smoky black almost grey tinged base with various sizes of silver glitter that reminds me both of Illamasqua's Creator polish and their new shade Swarm. 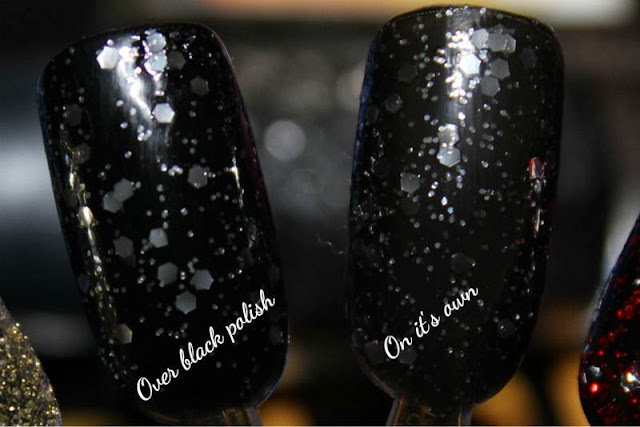 Layered over a black polish you get a striking full coverage black glitter effect that truly is dazzling and looks far more expensive than the £1.99 price tag. There is also a gold glitter shade 004 Gold Maiden which truthfully gives the same effect as the shade Rock Muse only with a splash of fine gold glitter. 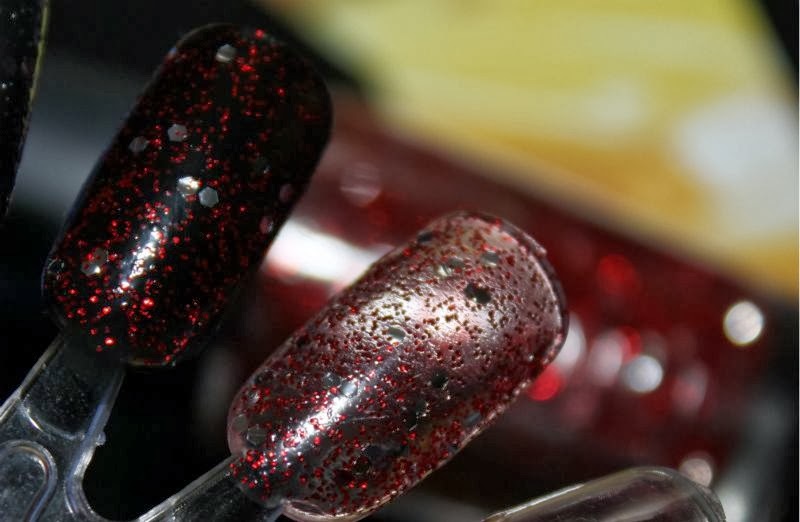 It is pretty but truthfully you don't need both Rock Muse and this as the effect is so similar. 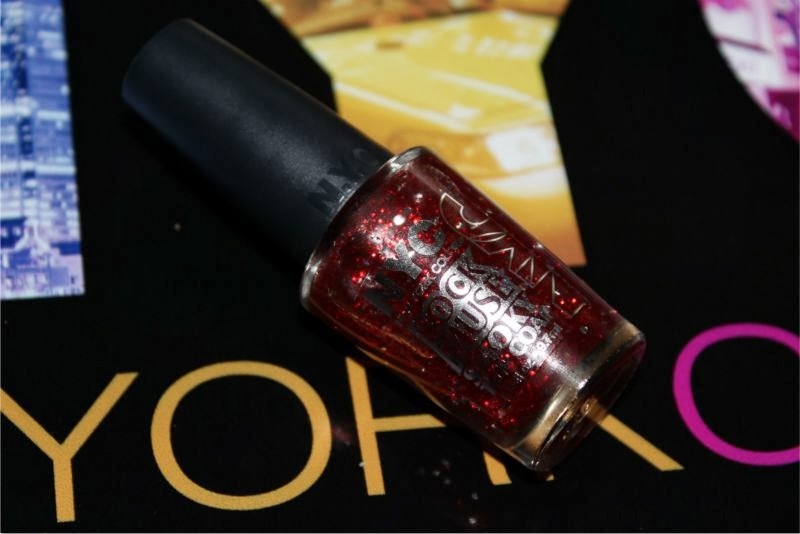 With both Halloween and Christmas on the way I think it would be a wise investment to purchase 005 Red Hot as layered over a black polish it gives a deep vampy look yet it could be applied over a red or even a green polish for a quite festive nail look. I love how versatile these polishes are not to mention that they apply well and dry fairly timely for £1.99 each. What is not to like? Nice shades!! These are so cheap! Love the look of Gold Maiden over black nail polish! 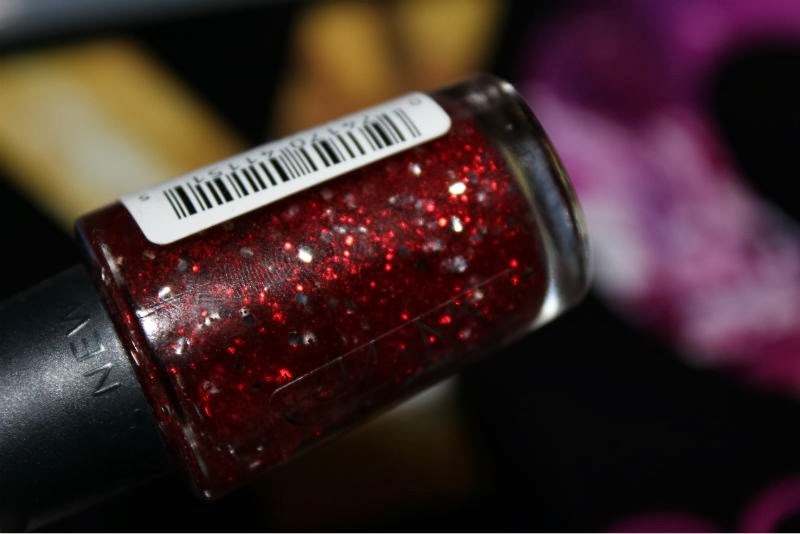 Somehow this reminds me of OPI. I don't know why.The golden one looks pretty.